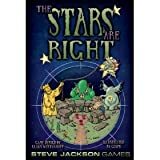 THE STARS ARE RIGHT is a board game produced by Steve Jackson Games. Inspired by the Lovecraft mythos, the object of the game is to “summon” ten points worth of servitors and gods before your opponent. After playing through the game multiple times, I feel that in order to get a sense for what the game is about, you really need to play through it twice. To set the game up, you place the cardboard stars in rows of five by five, for a total of twenty-five. Each player gets five cards to start; I highly recommend giving each player a Turn Sequence card to help keep the movements straight. On the card there are a series of symbols that are used at different points in the Turn Sequence. There are two types of symbols, primarily. The directional symbols allow you to change the way the board is arranged; the pieces are double-sided so there’s a lot of different variations on how the pieces are set up. The other symbols indicate constellations that need to be arranged in particular order before you can Summon a Minion, Servitor or a Great Old One like Hastur. As part of your turn, you can sacrifice a card from your hand (e.g. Invoke) and use the “powers” on the bottom of the creature cards you’ve already summoned to provide you with a series of movies to change the tiles laid out in front of you. After you swap, turn over tiles or push the rows, you can Summon a creature provided the “stars are right.” Once you Summon, you can discard one card (or two if you have the appropriate Minion in play). After drawing back up to five (or six, depending upon what you have in play) your turn ends. Once you start to Summon creatures, your options for re-arranging pieces on the board during your turn increases. The more cards you have on the table, the more challenging it is to visualize what patterns you can create to bring out more creatures. 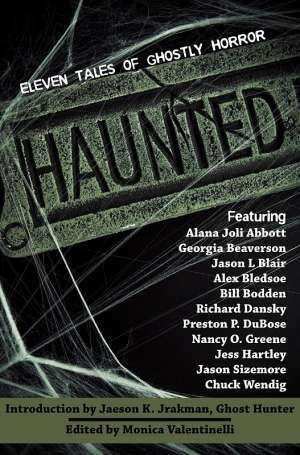 Each creature is worth a certain number of points and powers; the “greater” the creature, the more points it’s worth. The first person to reach a combined total of ten points wins. As a strategy game, I feel that THE STARS ARE RIGHT is pretty challenging because you have to think several moves ahead. Since your focus is on how the stars are arranged for you, rather than on what’s happening to the other players. In the process of playing the game, players have the potential of changing the board every turn, which can make it difficult to plot ahead several moves. The more players you have, the more frequent the board changes and the longer the game might take. The artwork and the card design is really easy to understand, but this is not an easy game to pick up. It does take a little bit to work out the movements and get in the habit of visualizing ahead. Since the board is never the same way twice, there’s a lot of options for game play and experimentation with different strategies and cards. In terms of balance, I felt the game was extraordinarily well structured – it’s impossible to cheat or to guess what could help or hurt your opponent. When two people play, the game can take about a half an hour. If you’re looking for something different to play that requires a fair bit of concentration, then THE STARS ARE RIGHT is definitely the game for you. It’s different enough from other games on the market and definitely gives your brain a work out. 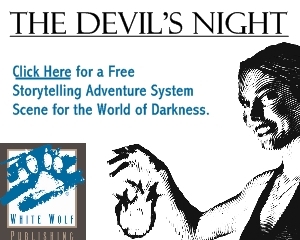 The game can be used for a family night of fun, but I recommend following the age guidelines of twelve and above. I recently played this for the first time. The rules are very straightforward and well-explained. The first few moves are also pretty simple. But the more minions you’ve summoned, the more complicated your planning can become. Midgame, if you’ve got a mind to do it, there’s some serious strategizing you can go through.